awareness of the importance of conservation is more important than ever. using the campaign hashtag, #EveryDropCounts. 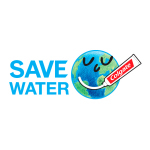 conservation awareness to all of its global consumers by 2020.
the exclusive list in 2016.
updates on the company’s 2020 water goals, please visit www.ColgatePalmolive.com/Sustainability. focused on Oral Care, Personal Care, Home Care and Pet Nutrition. Colgate’s global business, visit the Company’s web site at http://www.colgatepalmolive.com.